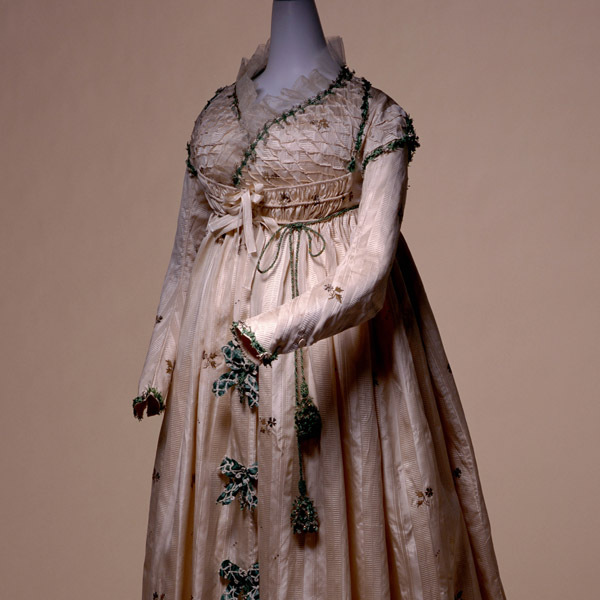 White silk taffeta brocade one-piece dress; green silk and gold embroidery and sequins; pin-tucks at top of front; fly fringe and tassel ornamentation. 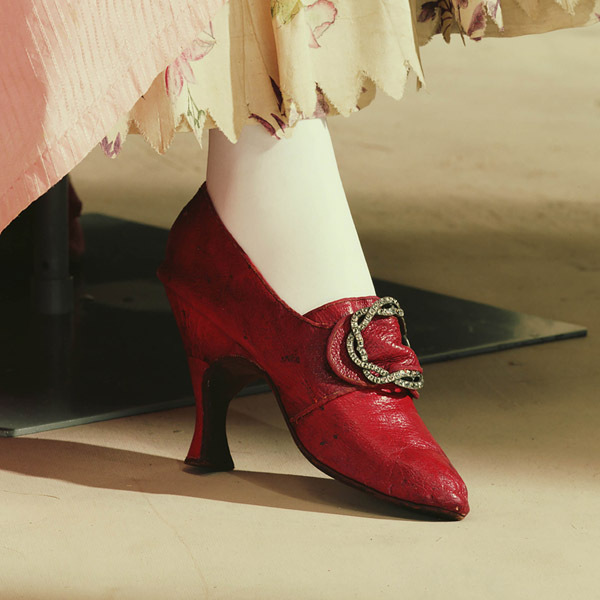 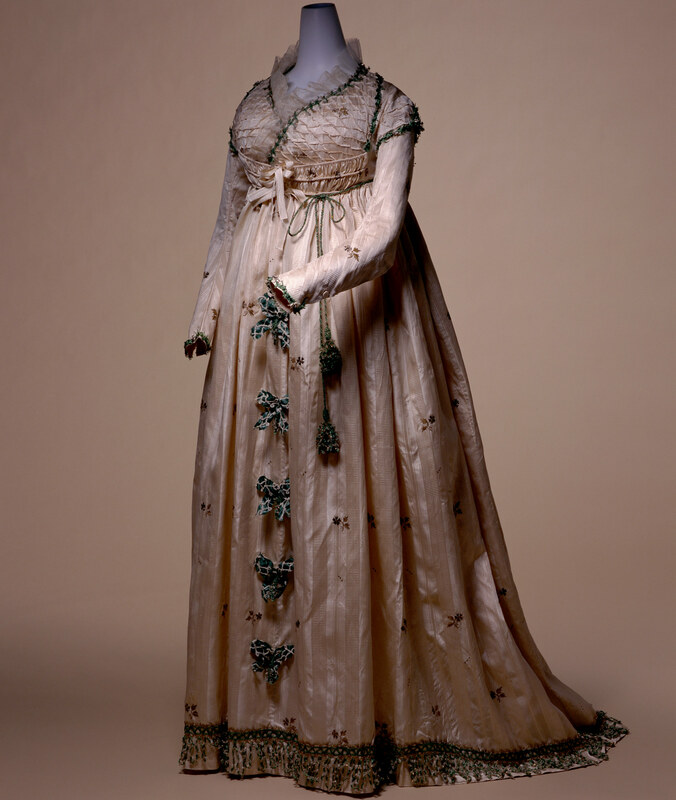 Around the 1789 French Revolution, the Rococo period's extravagant dresses of brilliant hues changed, becoming simple, white dresses. 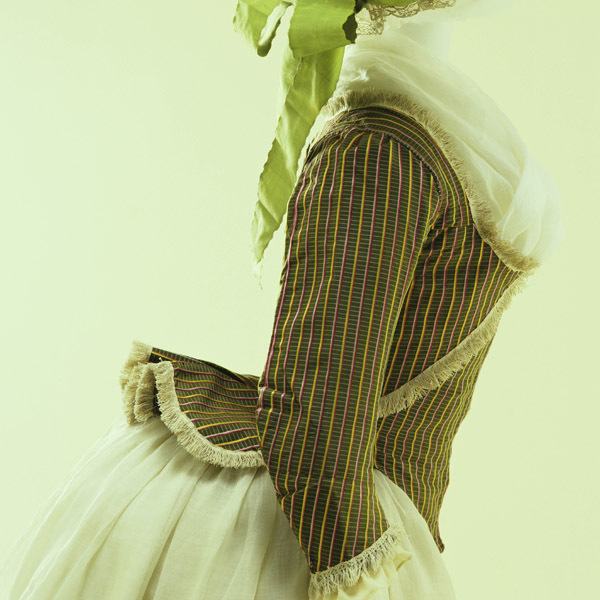 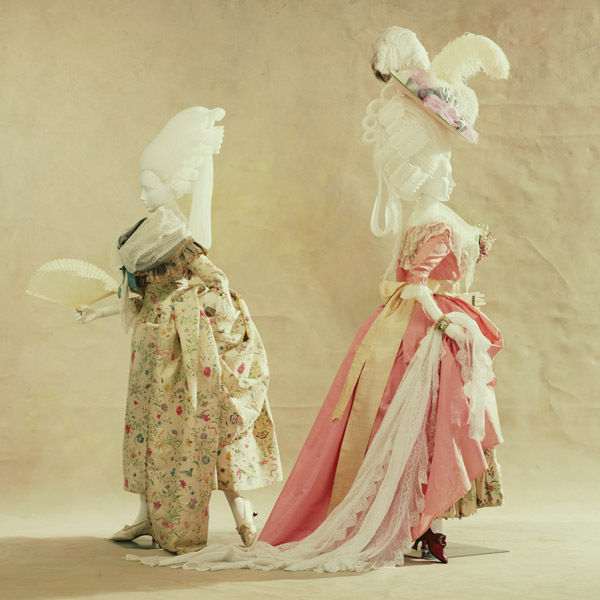 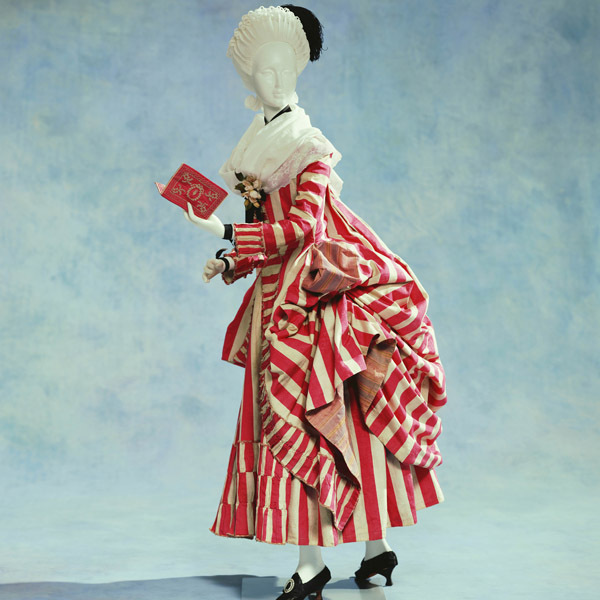 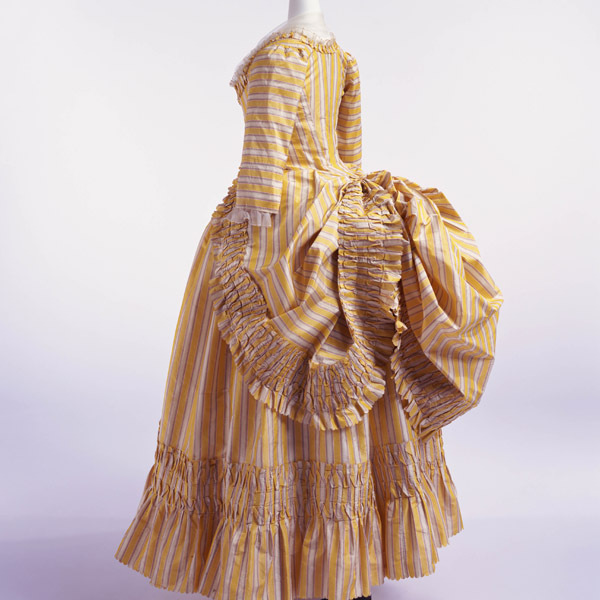 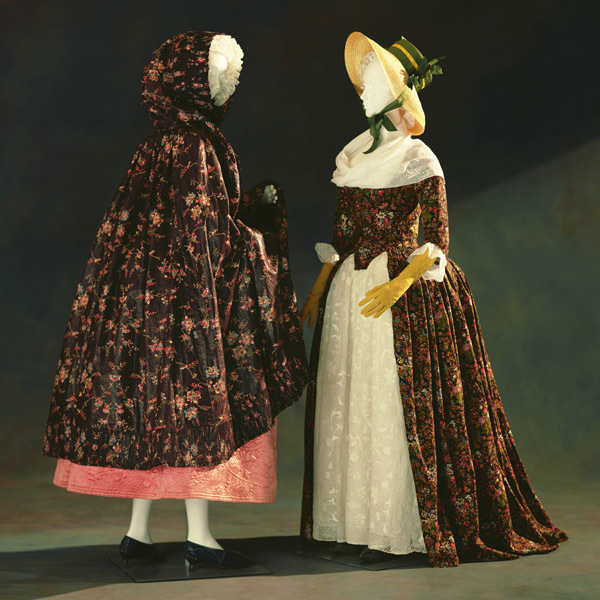 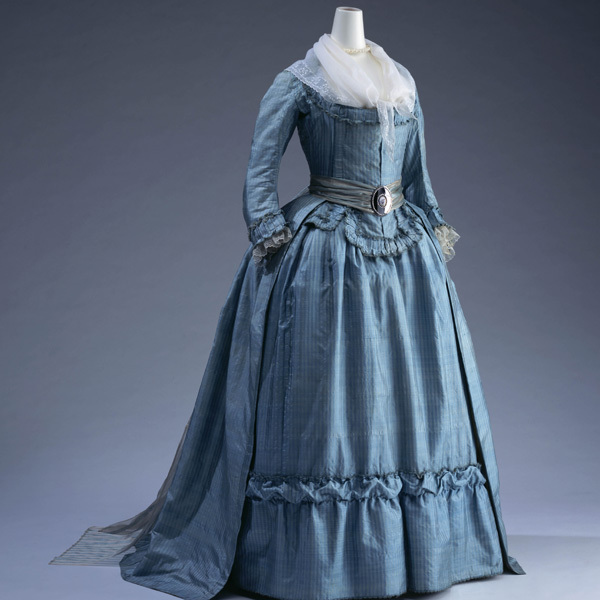 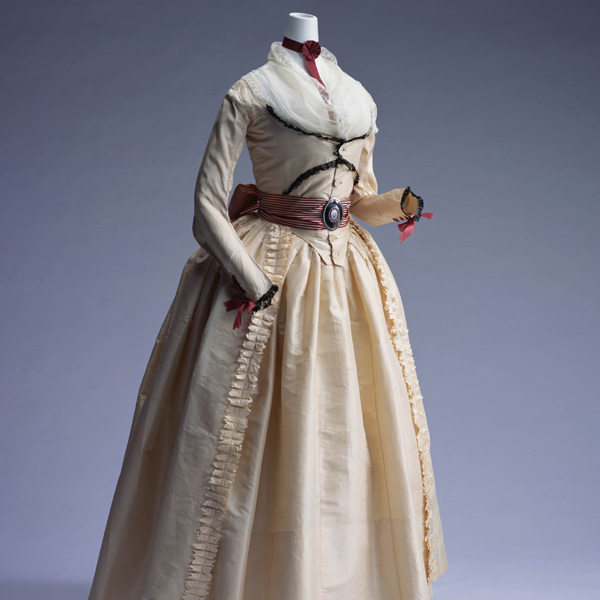 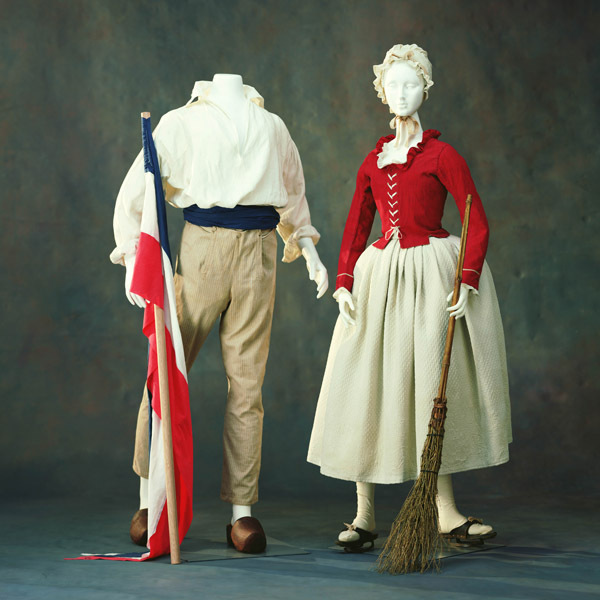 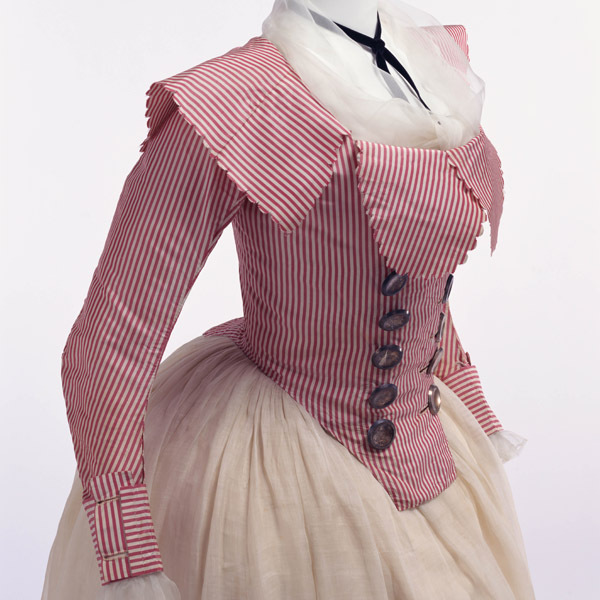 In this period, the "round gown" appeared, and at the beginning of the 19h century, during the transition to the wildly popular white muslin dress, is when high-waist, one-piece dresses, as shown here, were in vogue. 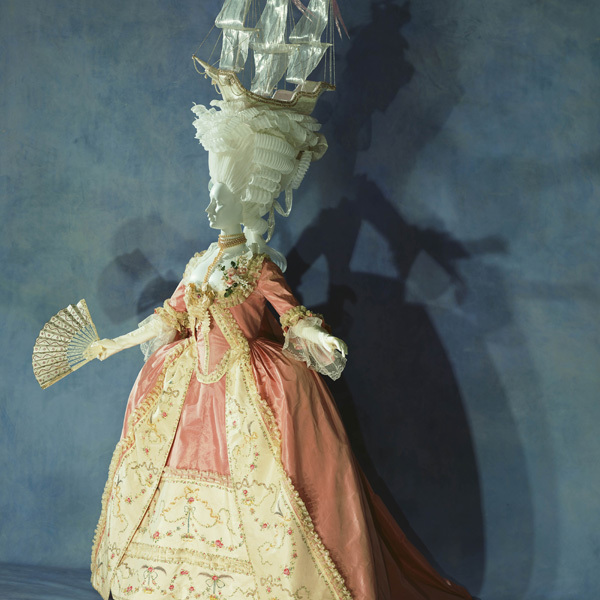 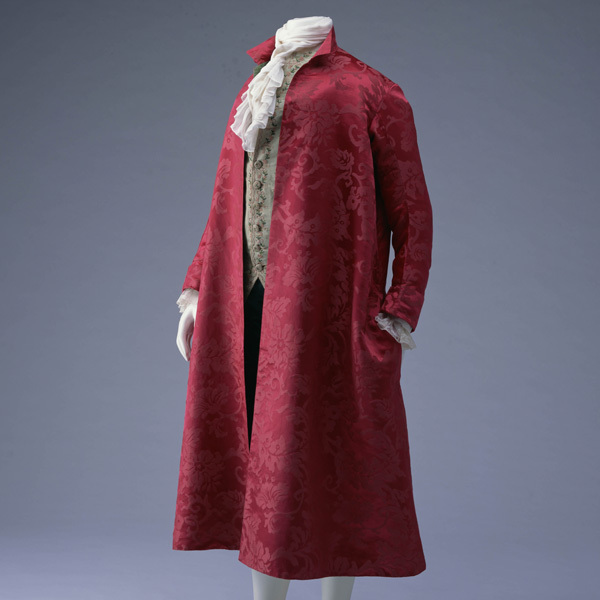 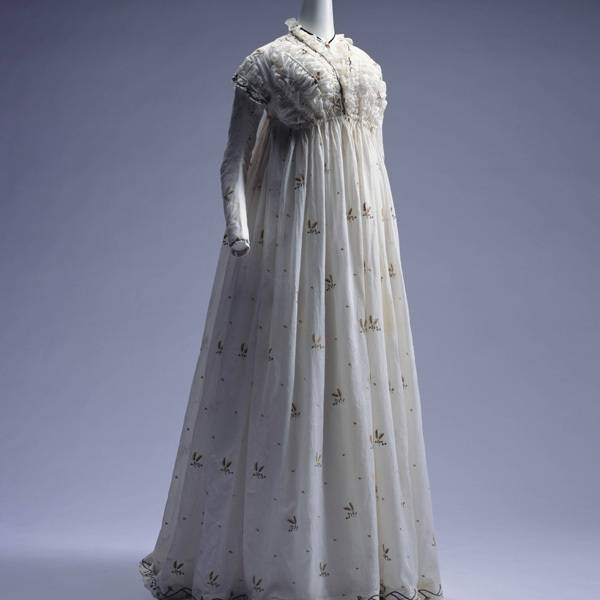 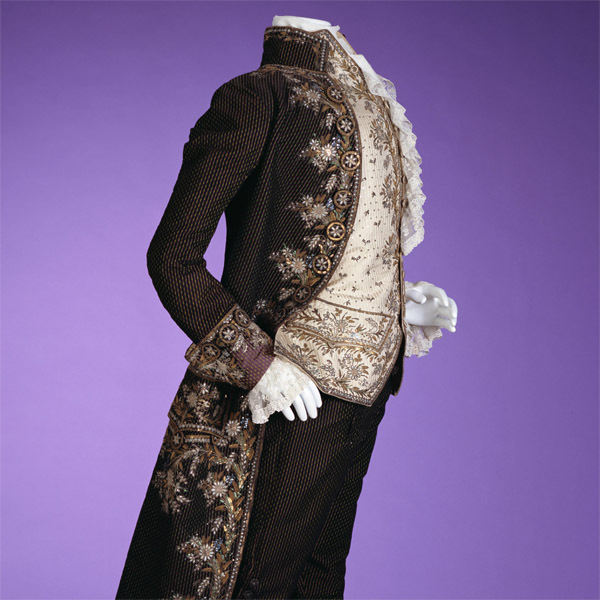 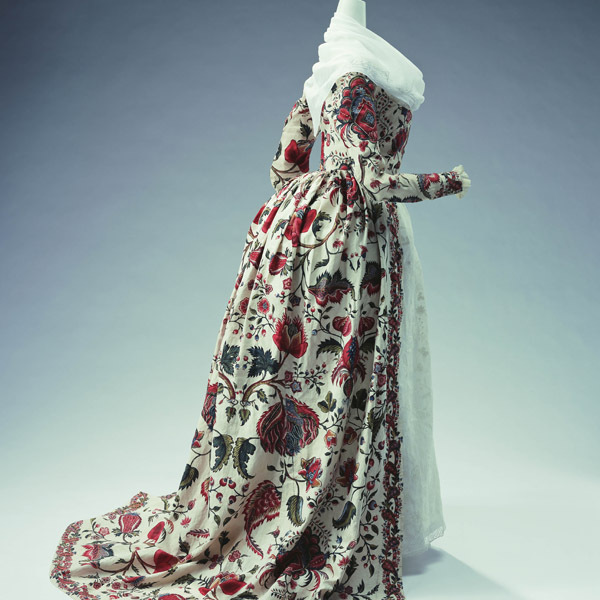 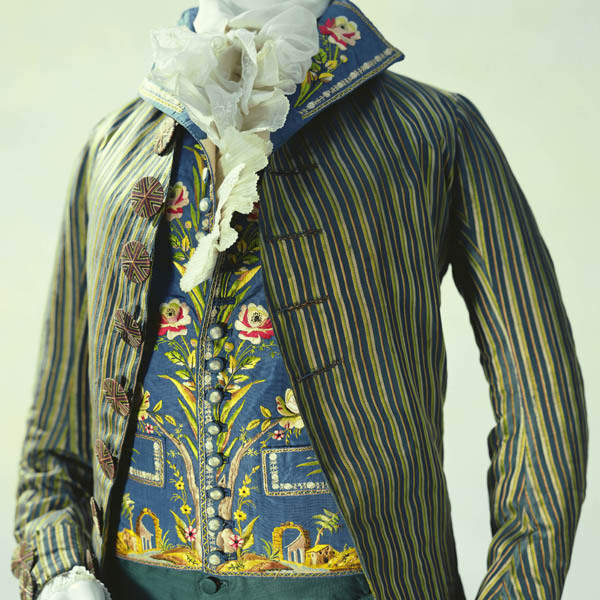 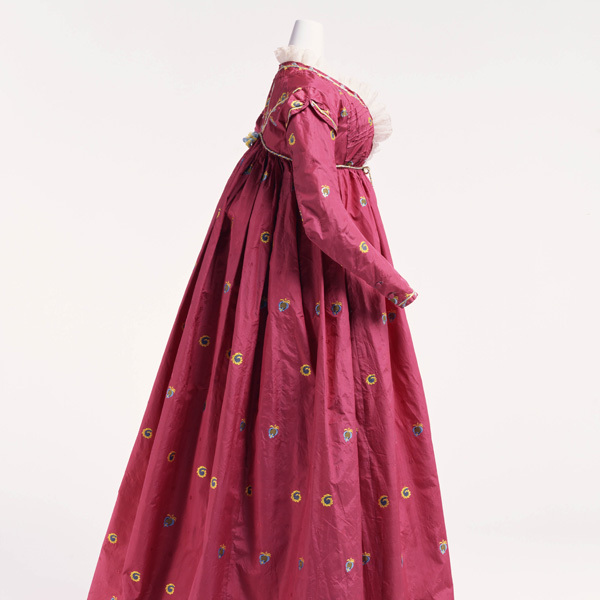 The dress shown here utilizes luxurious textiles, while exhibiting the shape of the new century. 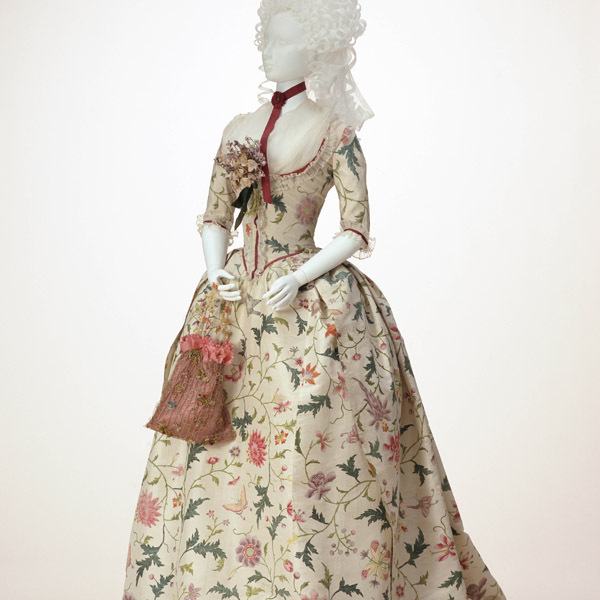 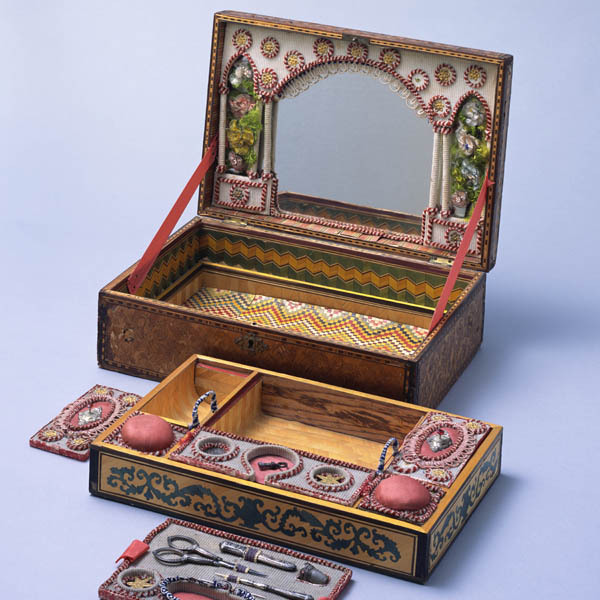 It often appeared in fashion plates by Nicholas Heideloff in his "Gallery of Fashion "(1794-1802, London).